Yet another bullseye. 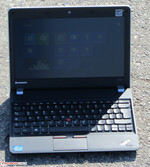 The compact, portable ThinkPad Edge E130 sports a Core i3 processor and a matte 11.6-inch screen, that is combined with a high-capacity battery. All the ingredients needed for a mobile work laptop are available. Our test reveals whether the device is thoroughly convincing. 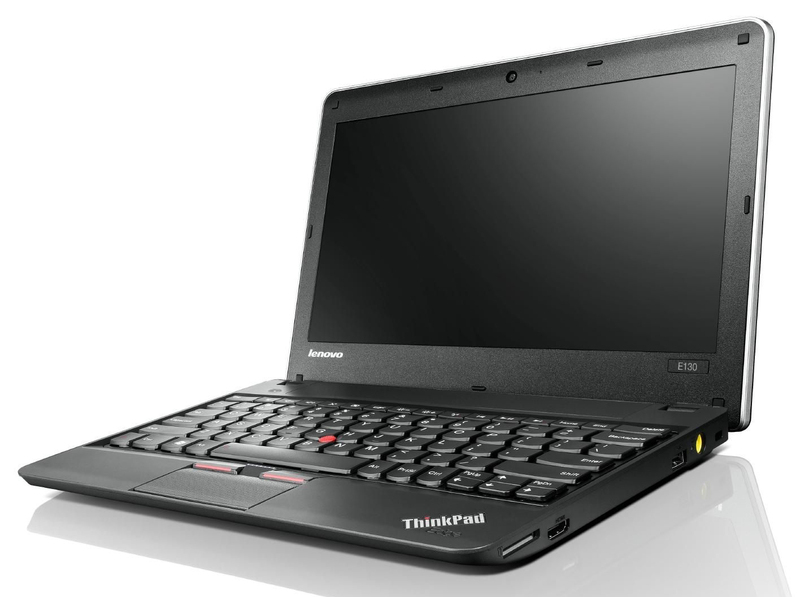 Lenovo's ThinkPad Edge product line encompasses laptops that offer ThinkPad quality at an affordable price. The range is comprised of 11.6- to 15.6-inch devices. We have already tested various members of the range. 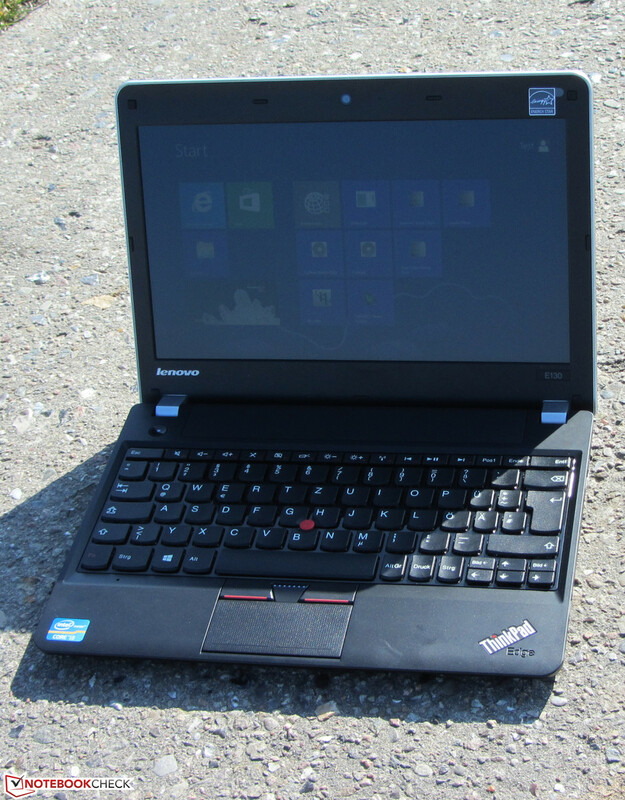 Another configuration of the ThinkPad Edge E130 NZU5FGE (Pentium 977, HD Graphics) has also faced our tests. The same is true for the ThinkPad Edge E135 (AMD E2-1800, Radeon HD 7340) sister model. 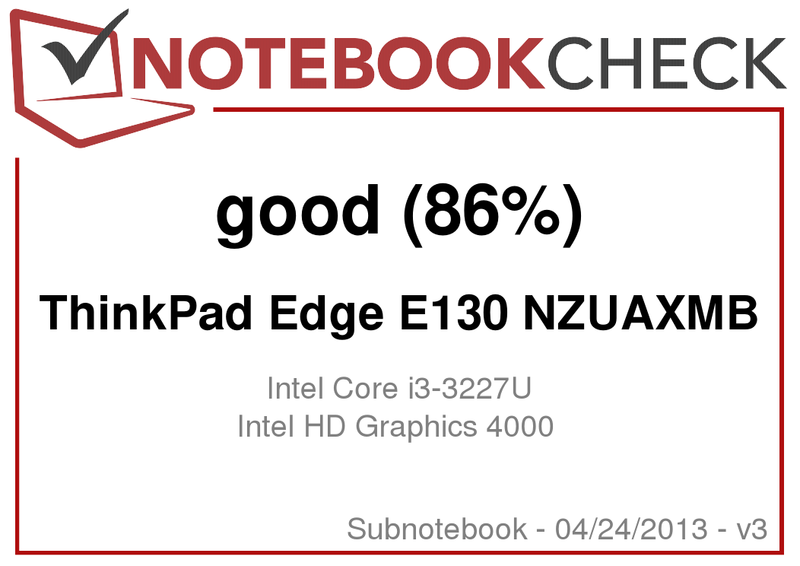 The Edge E130 NZU5FGE convinced us in the test. Our review reveals whether the latest model featuring a Core i3 processor will also manage to do so. We used Acer's TravelMate B113-M (Core i3-2377M, HD Graphics 3000) and Asus' VivoBook S200E (Core i3-3217U, HD Graphics 4000) to classify the laptop. 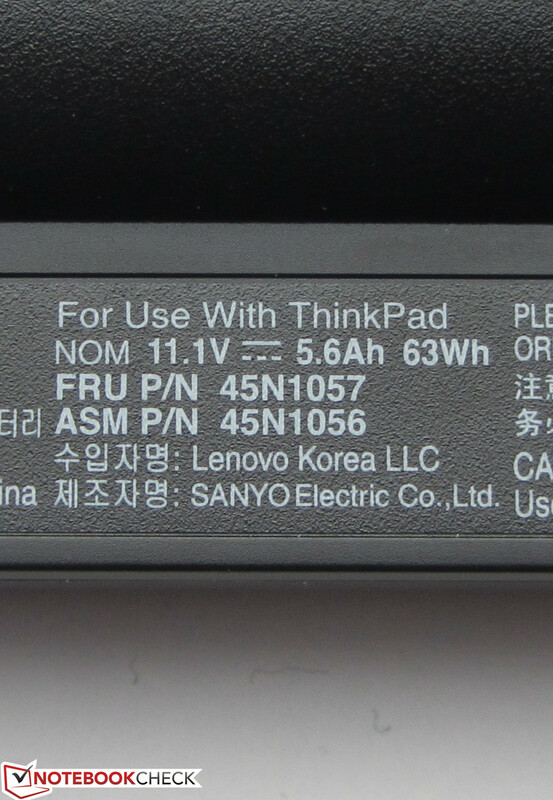 We have exhaustively described the ThinkPad's casing in the previous review of the E130 model. Therefore, we will keep this part short. The casing is completely made of black plastic. It makes an overall rigid impression and is largely insensitive to pressure. The tight hinges keep the lid firmly in position and do not rock. Our three test devices all sport the usual interfaces found nowadays. The VivoBook is the only device that does not feature a Gigabit Ethernet port and can only offer Fast Ethernet. None of the three laptops have an optical drive. All subnotebooks include at least one USB 3.0 port. The interfaces positioning of the Edge 130 is unfavorable and they are mostly located at the front of both sides. However, this is virtually the only solution due to the laptop's compact size. 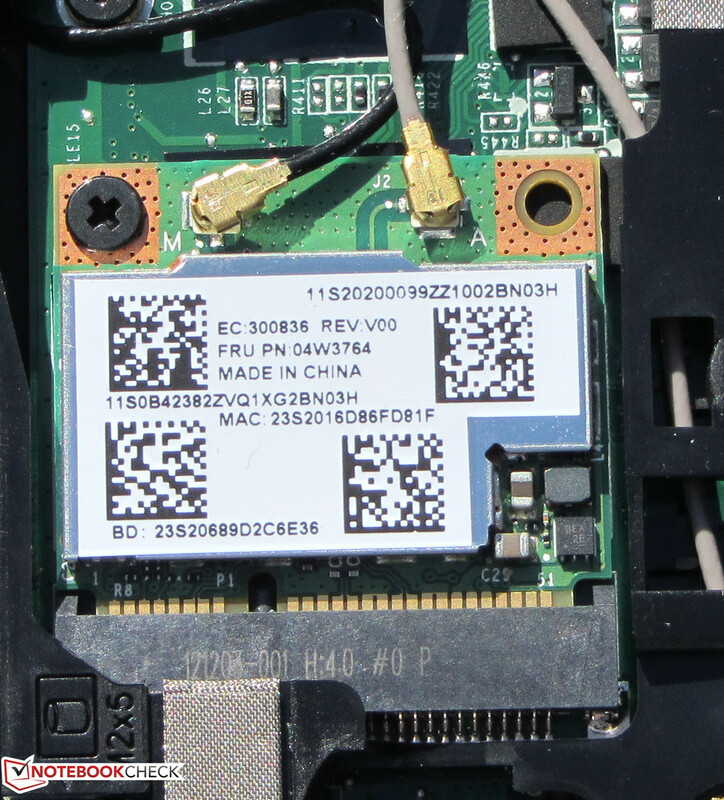 The Wi-Fi module installed in the Edge E130 comes from Broadcom and supports WLAN 802.11 a/b/g/n standards. Reception was no problem. The connection remained stable in both the router's vicinity (approx. 3 meters; signal strength: 50%) and two stories below its position. Realtek's RTL8168/8111 Gigabit Ethernet chip connects to cabled networks. 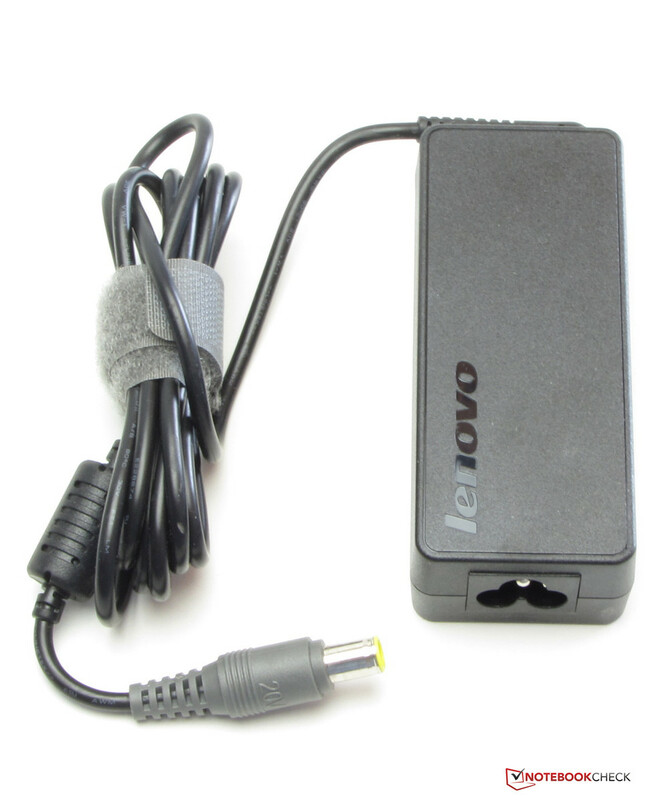 Lenovo also installs a Bluetooth 4.0 module in the small laptop. The webcam takes blurry pictures in a resolution of up to 1280x720 pixels. 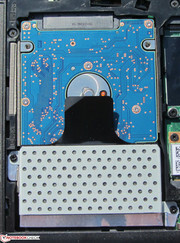 Besides the compulsory Kensington lock slot for securing the laptop physically, other security features are found only as software on the hard drive. For example, passwords for various internet services can be stored in the Password Vault tool. The hard drive is protected by Active Protection System, which prevents data loss should the laptop be dropped. A sensor detects the fall and parks the write/read heads. Only a quick start poster is found in the laptop's box. There are no other accessories included. 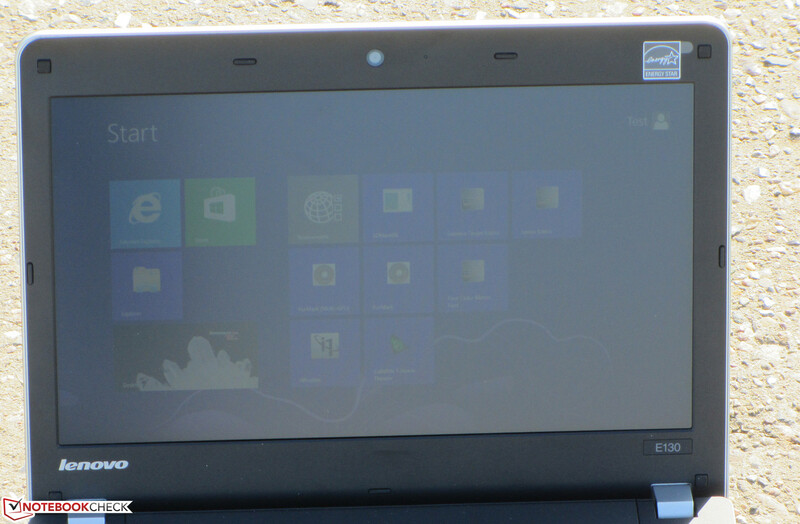 A 64-bit version of Windows 8 serves as the operating system on our test device. A Windows 8 DVD is not included. A Windows 8 recovery system is installed for repairing or resetting the operating system. It is opened by pressing the F11 key while booting the laptop. 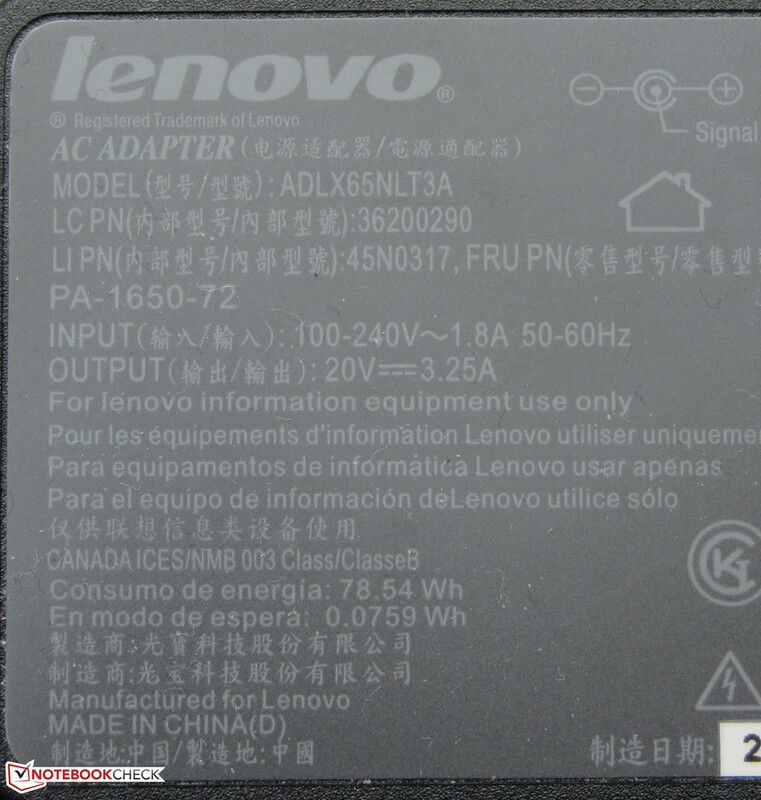 Users who prefer Windows 7 can find the required drivers on Lenovo's website. Windows XP support, still important for companies today, is also made available by corresponding drivers insofar as they still exist. 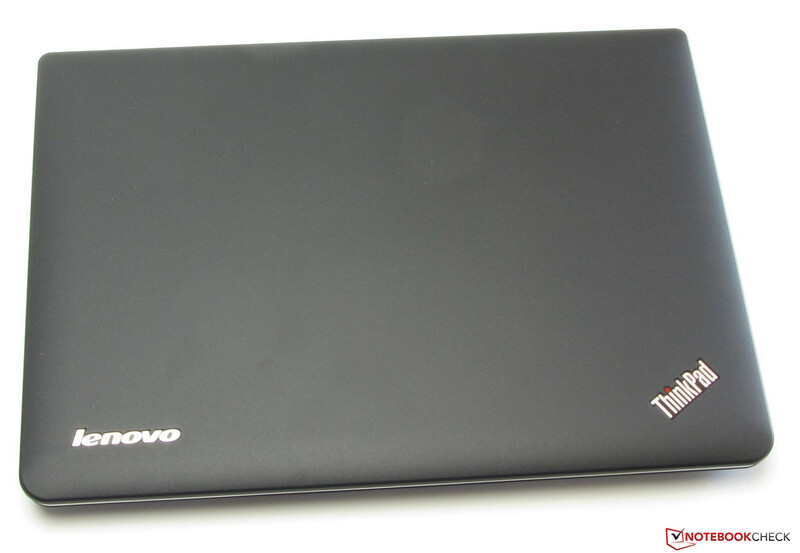 Since Lenovo also offers Edge 130 models without a Windows operating system, we also tried Linux on the laptop. 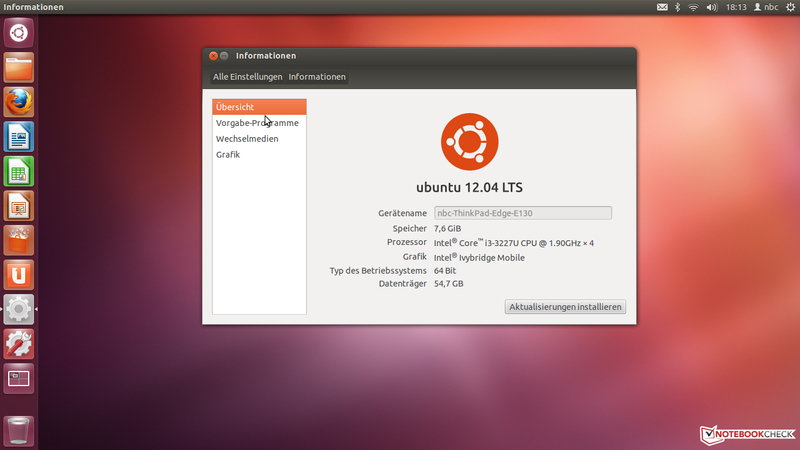 We installed Ubuntu Linux 12.04 LTS on the ThinkPad. Most hardware components worked immediately after installation. That included the function keys along with screen brightness control. Only the Wi-Fi module and TrackPoint refused to operate. However, we managed to get them to work. We linked the ThinkPad to the router via a cable to install the WLAN driver. The driver can then be downloaded, installed and enabled via the menu item "Additional Drivers". ThinkPad Extras has to be installed to activate the TrackPoint. An internet connection is needed for this. The terminal is opened and these two commands have to be executed: sudo add-apt-repository ppa:linrunner/thinkpad-extras and sudo apt-get update. The TrackPoint worked after rebooting the system. 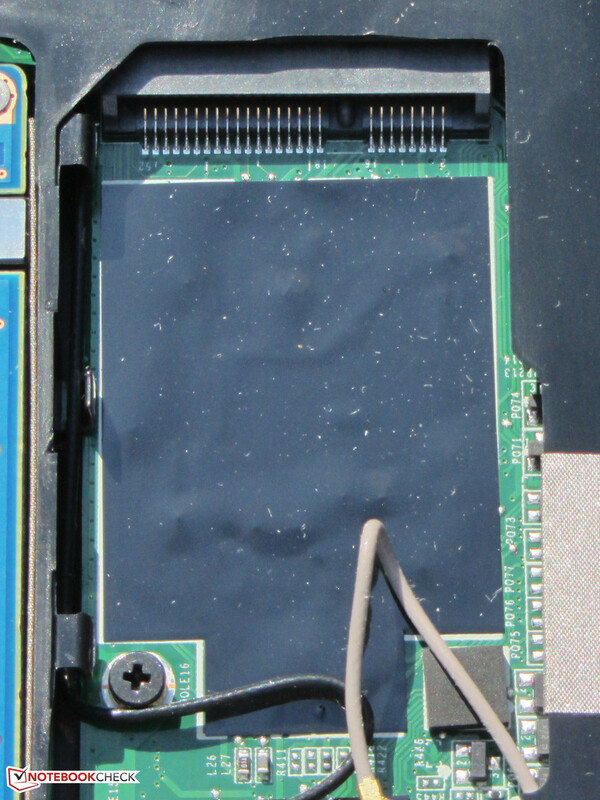 It is possible to access the working memory, hard drive, Wi-Fi module and the BIOS battery after removing the large maintenance cover on the laptop's bottom. The user only has restricted access to the fan. The Edge E130 features two working memory banks. Only one was equipped with a 4 GB module in our test device. According to the manufacturer, up to 8 GB of working memory is supported. Replacing the hard drive is no problem. Only two screws have to be removed and the drive can be taken out. The laptop can only harbor hard drives with a thickness of 7 mm. 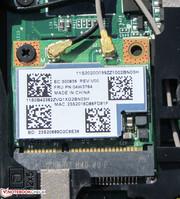 The ThinkPad also features an mSATA slot. Matching solid state drives can be inserted here. Thus, the existing hard drive does not have to be removed. Using an additional SSD as a cache would also be an option. We tried this and installed a 16 GB SSD (SanDisk SDSA3DD for 26 Euros, ~$33). The corresponding software is required in order to use the SSD as a cache. Lenovo's ExpressCache is such software that can be downloaded. Although the ThinkPad Edge E130 is not listed among the compatible laptops on Lenovo's website, the software worked without problems. A command line tool is installed alongside ExpressCache and allows checking whether the SSD is really being used as a cache. Instructions for using the tool can also be found on the download site. 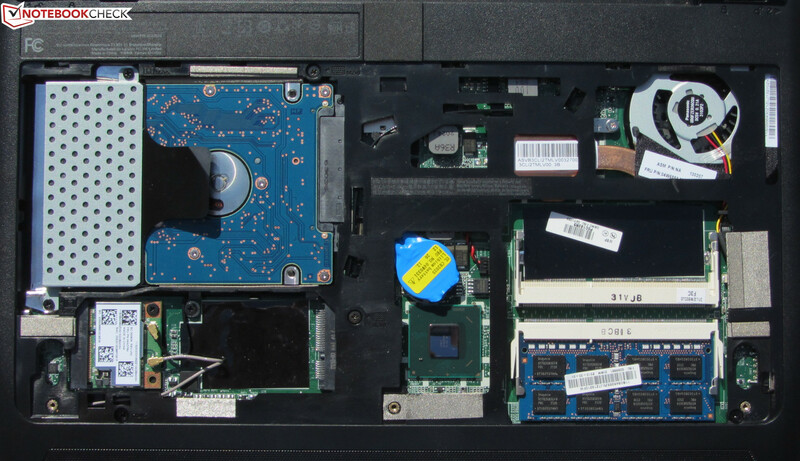 The ThinkPad Edge includes a 12 month bring-in warranty. The customer has to send the laptop to Lenovo in warranty cases. The VivoBook and TravelMate come with the same warranty service. 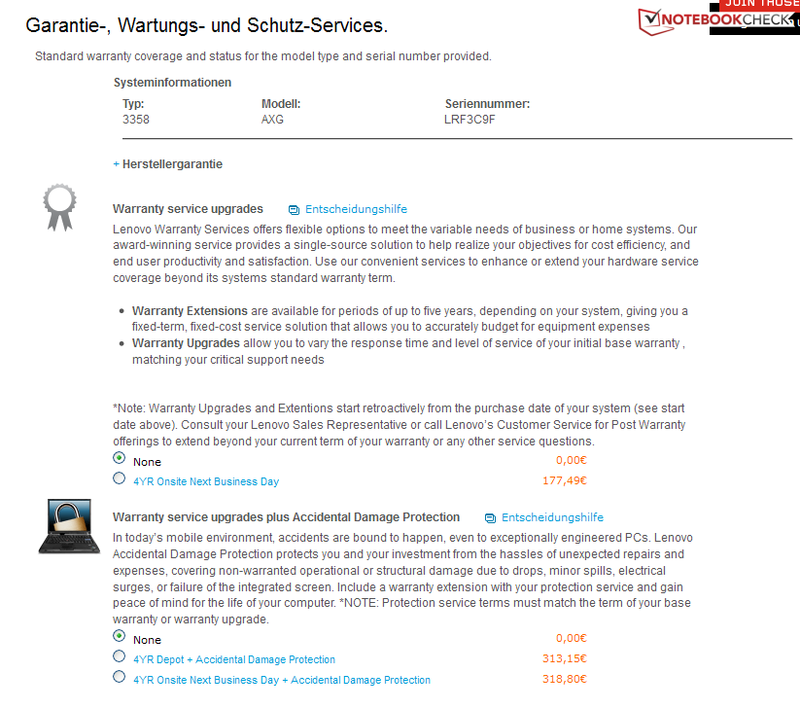 All available warranty upgrades can be seen on Lenovo's website after entering the ThinkPad's serial number. Lenovo does not offer many options. 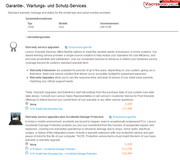 A four year on-site warranty for the next business day costs around 180 Euros (~$233). The price increases to approximately 320 Euros (~$415) together with Accidental Damage Protection, which, for example, covers damages through spilled fluids. Lenovo does not supply the Edge E130 with a backlit chiclet keyboard. The concave keys offer a normal-length drop and clear pressure point. The key stop also highly pleased us. 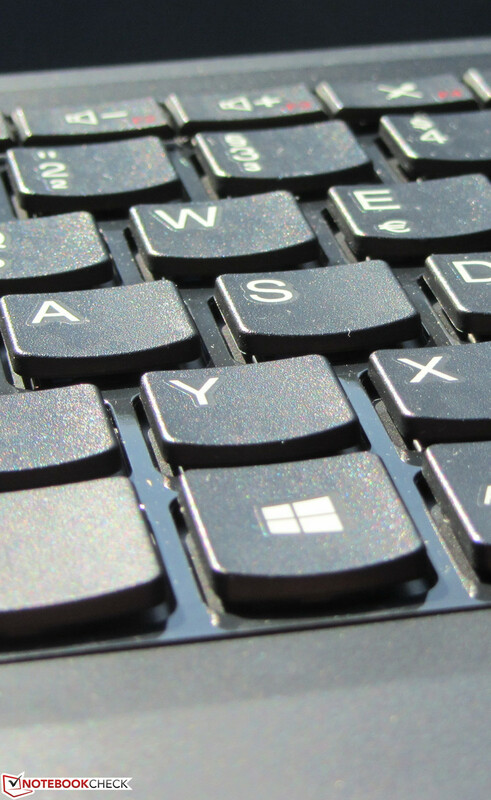 The keyboard has been designed for users who have to type a lot. 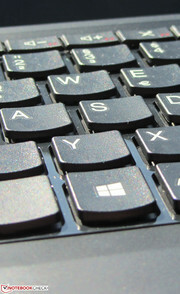 The enter, back space and right shift keys' sufficient size are also good and allow accurate typing. That is noteworthy because we have seen poorer units from Lenovo. 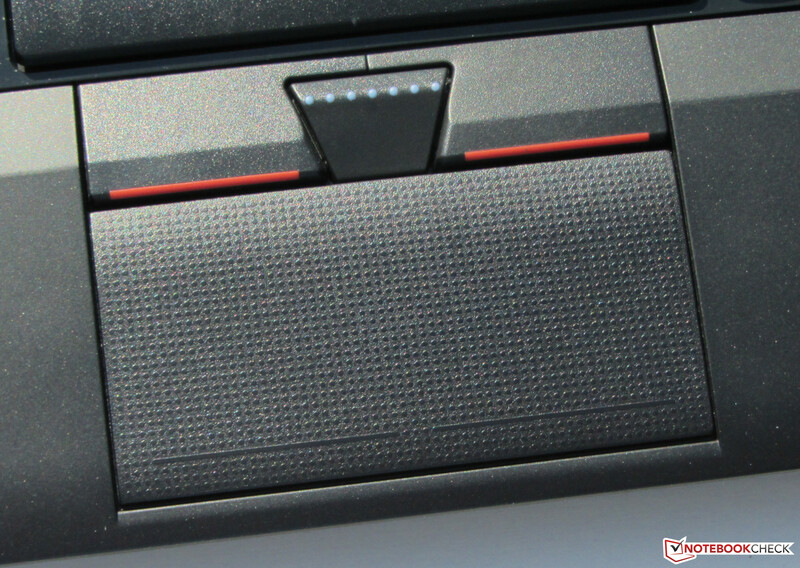 These keys are a bit too small in Lenovo's larger laptops, such as the B575e or B580. 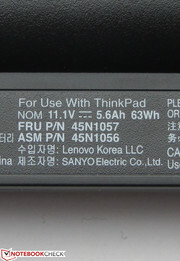 The ThinkPad Edge features two options for mouse control. One is the ClickPad and the other is the TrackPoint. 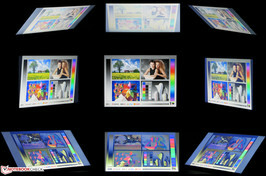 The multi-touch ClickPad's size of 3.7 x 7.4 cm is extremely small. Roughly 1.5 cm more height would have been possible. However, this room is reserved for the TouchStick's mouse keys. The roughened surface does not impair the fingers from gliding. The single multi-touch gestures can be turned on and off in the setup menu. The ClickPad features a short drop and a clearly audible and palpable pressure point. 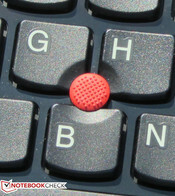 The mouse cursor can be moved pleasantly using the TrackPoint. The corresponding mouse keys have a medium drop and clear pressure point. All three keys are pleasantly quiet. The ThinkPad Edge's matte 11.6-inch screen uses a native resolution of 1366x768 pixels. Other screen models are not available. 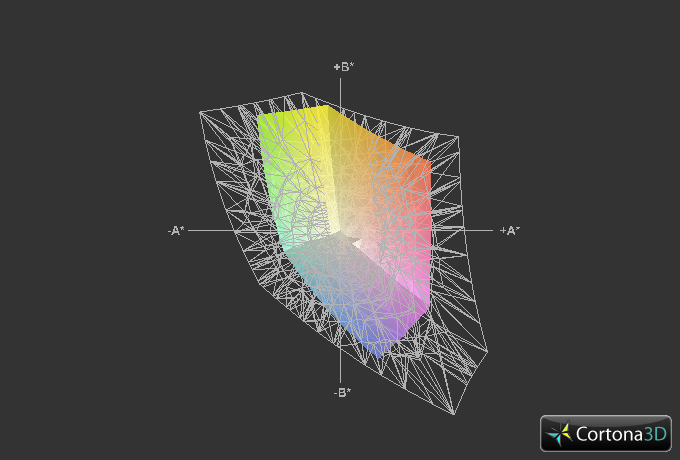 The screen's average brightness of 218.9 cd/m² is midfield. 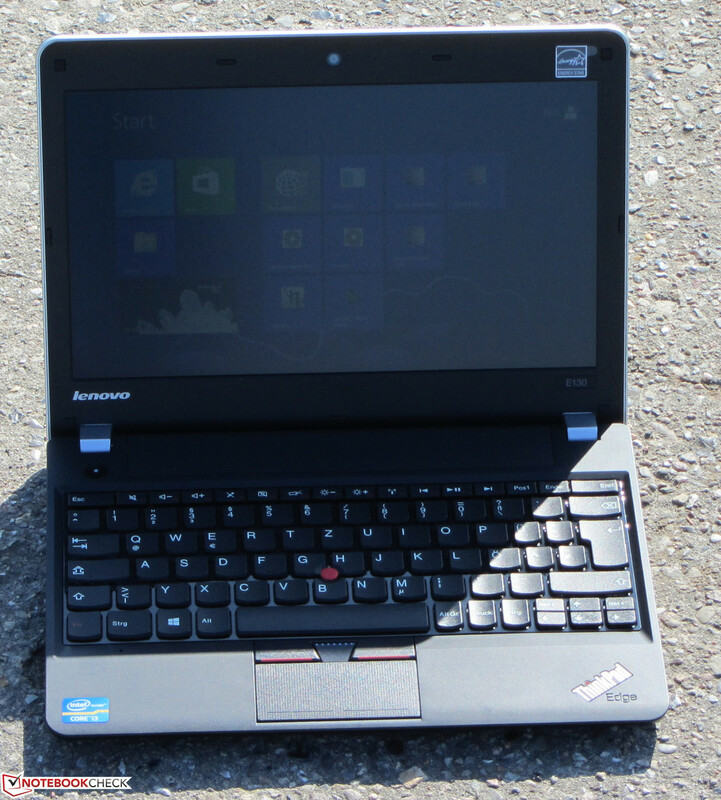 The screens of the VivoBook (197.1 cd/m²) and TravelMate (174.9 cd/m²) are not as bright as the ThinkPad display. The Edge E130 does not provide exceptional rates with a contrast of 228:1 and black value of 1.04 cd/m². The VivoBook (332:1; 0.65 cd/m²) and TravelMate (225:1; 0.8 cd/m²) are not particularly good either. The ThinkPad's screen cannot reproduce the sRGB or AdobeRGB color spectrums. We assessed the screen in its state of delivery (target color space: sRGB) and recorded clear DeltaE 2000 deviations in most colors (DeltaE bigger than 10). Only white remained within the target area (DeltaE smaller than 5). The screen exhibits a visible bluish cast. The screen's maximum brightness is 177 cd/m² in battery mode. As can be seen in the screenshot, it is difficult to see anything on the screen outdoors. 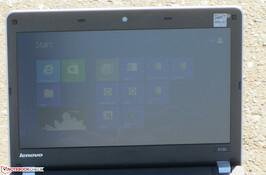 It is too bad that Lenovo installs a screen in a small, portable laptop that is barely of any use outside of buildings. The screen's viewing angle stability is middling. The image distorts quickly when the vertical viewing angle is changed. Content remains legible horizontally up to tilt of almost 180 degrees from the sides. However, the picture dims slightly. Lenovo provides light, portable and long-lasting 11.6-inch laptops in the ThinkPad Edge E130 range. The devices supply more than enough power for routine tasks like word processing, internet communication or video playback. The manufacturer provided us with our test device. We could not find this configuration in retail at the time of the review. The price will likely range from 500 Euros to 600 Euros (~$648 to $778). This estimate is based on an identical model that additionally features a UMTS module and a second operating system (Windows 7) and which is currently available for 600 Euros (~$778). The various Edge E130 models differ in terms of processor (from Pentium to Core i5), hard drive capacity, hard drive model (with and without SSD cache) and operating system (Windows 7 and/or Windows 8, FreeDos). As mentioned, models featuring a UMTS module are also available. The cheapest member of this range is currently sold for just under 350 Euros (~$454). The buyer gets a Pentium 997, 4 GB of working memory and a 320 GB hard drive here. The Edge E330 (13.3-inches) and Edge E530 (15.6-inches) are both larger alternatives to the Edge E130. Both devices scored just as well as the Edge E130. This also applies to the Edge E335 and Edge E535 counterparts based on AMD technology. Our test device is powered by Intel's Core i3-3227U dual-core processor. The CPU is a member of the Ivy Bridge generation and clocks with a speed of 1.9 GHz. It does not feature Turbo. It is a ULV processor. The CPU operates with a low voltage, which results in a low power consumption. Intel specifies a TDP of 17 watts. The E130 performed the Cinebench tests at full clock speed (1.9 GHz). It is not surprising that it wins all CPU tests seeing that the ThinkPad Edge sports the strongest CPU. The difference over the VivoBook is bigger than the minor clock frequency difference would let us assume (1.9 to 1.8 GHz). The reason for this is that the VivoBook (Core i3-3217U, HD Graphics 4000) tends to throttle. The scores of the TravelMate (Core i3-2377M, HD Graphics 3000) lag behind both contenders. The ThinkPad also clearly wins the GL tests. Despite its stronger GPU, the VivoBook remains behind the TravelMate in the Cinebench R11.5 GL test. Again, throttling is the reason for this. The system runs quickly and smoothly. However, it sometimes takes a bit too long until the system responds to a mouse click, for example initiating software installation. We assume that the reason for this is related to the Windows installation, so the additionally installed software. We exclude the hard drive because it supplied good access rates. The scores in both PCMark benchmarks were good. The results from the TravelMate (Core i3-2377M, HD Graphics 3000) and the VivoBook (Core i3-3217U, HD Graphics 4000) lag behind that. These scores could be boosted by installing a second working memory module because the working memory would operate in dual-channel mode and both the CPU and GPU would be used more efficiently. We tried this and could improve the PCMark 7 score by approximately 7% to 2653 points and almost 9% to 5344 points in PCMark Vantage. The work speed increased considerably when the installed hard drive was replaced with a solid state drive. Our Corsair V32 - 32 GB SSD alongside a new Windows 7 installation increased the PCMark 7 score by approx. 30% to 3193 points. The boost wasn't as significant with a 16 GB SSD cache in conjunction with the Edge's standard hard drive. In this case, the PCMark 7 score improved by roughly 15% to 2854 points. 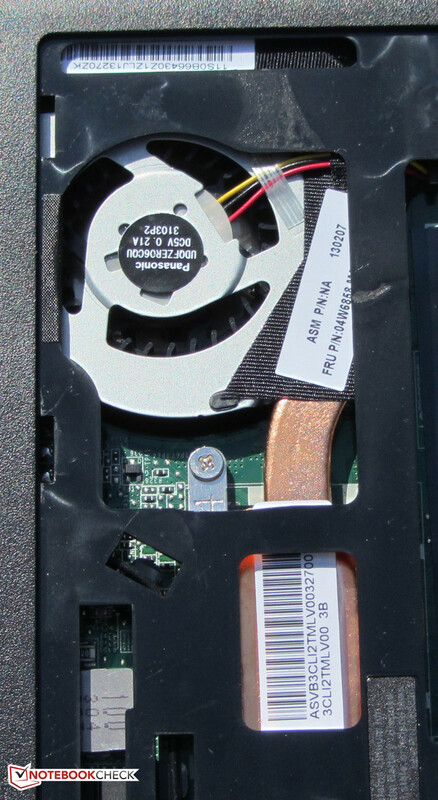 Lenovo installs a hard drive from Hitachi's TravelStar Z7K500 range in the ThinkPad. It has a capacity of 500 GB and spins at 7200 revolutions per minute. CrystalDiskMark recorded a read speed of 123.8 MB/s. HDTune ascertained an average transfer rate of 102.4 MB/s. The access time of 16.3 ms was also low. Those are overall good results that we do not see every day. Lenovo seems to completely rely on fast hard drives for its Edge E130 range. The hard drive in the previously reviewed Edge E130 model supplied good rates and the same is true for the hard drive in the Edge E135. 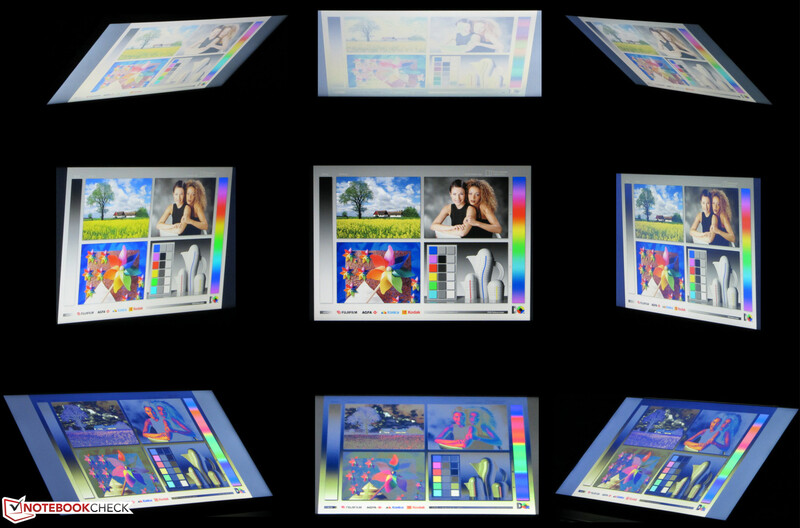 The ThinkPad uses HD Graphics 4000. The graphics core clocks with a speed ranging from 350 to 1100 MHz and supports DirectX 11. The ThinkPad also wins the diverse 3DMark benchmarks. The scores of the VivoBook (Core i3-3217U, HD Graphics 4000) are extremely low and lag far behind those of the TravelMate (Core i3-2377M, HD Graphics 3000) that sports the nominally weakest CPU. This is again due to the VivoBook's throttling issue. The 3DMark benchmark scores could also be improved by installing a second working memory module. Intel's GPU would be maxed out more effectively via the dual-channel mode. The 3DMark 11 score increased by approximately 10% to 654 points. A lot more was extracted in the latest 3DMark 2013. The scores increased by 16.2% (Ice Storm), 25.5% (Cloud Gate) and 22.6% (Fire Strike). The ThinkPad is not a gaming laptop alone due to its screen size. However, users who have a bit of spare time on the go can definitely play the odd game. The array of the Core i3 processor and HD Graphics 4000 is able to render up-to-date 3D games smoothly on the screen in a low resolution and quality level. Less demanding games also still achieve smooth frame rates in the native resolution (1366x768 pixels) and medium quality settings. We can name FIFA 13 as an example. 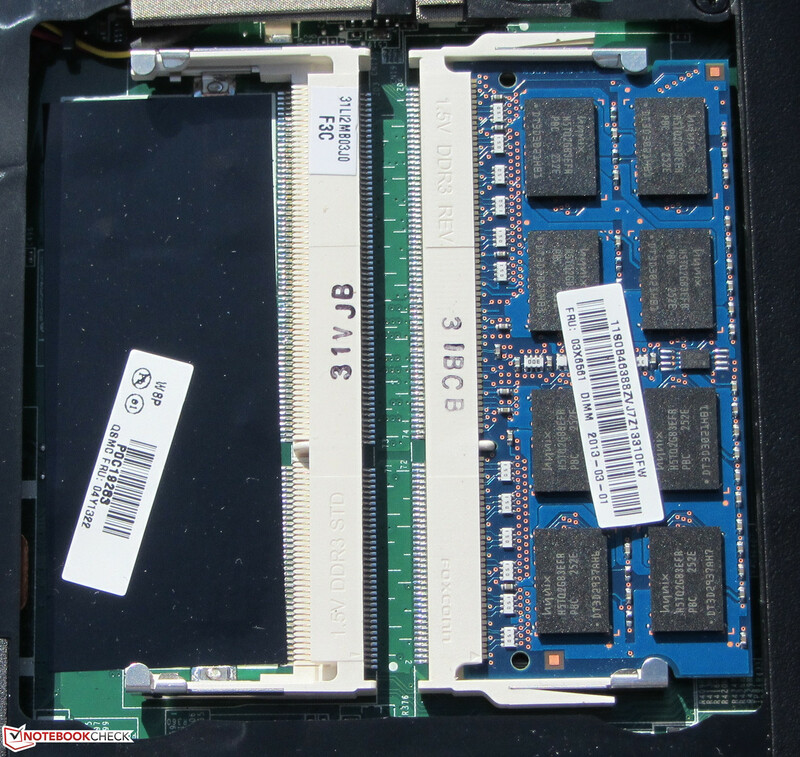 Higher frame rates would be possible when a second working memory module is installed in the ThinkPad. The working memory then works in dual-channel mode and the GPU would benefit from that. We tried it. The frame rates in the game Starcraft 2: Heart of the Swarm increased to 102.2 fps (min), 30.3 fps (medium) and 20.6 fps (high). That is an average increase of nearly 23%. It looks pretty much the same in Anno 2070. 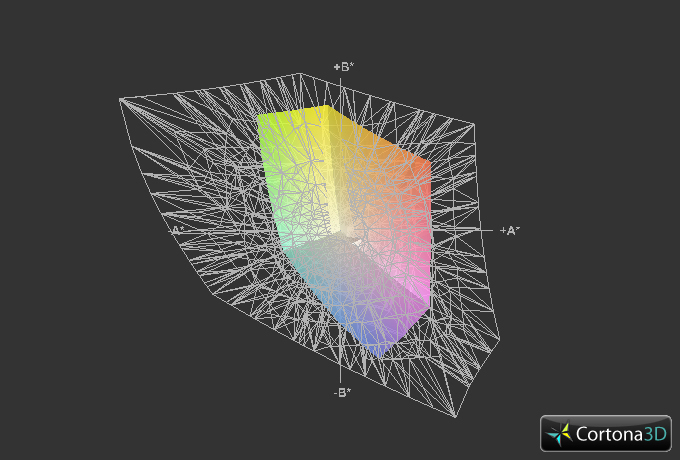 The frame rates increased by roughly 22% to 45.4 fps (min) and 23.7 fps (medium). Lenovo's Edge E130 is a laptop that works quietly in all load ranges. We measured a noise level of 31.5 and 33 dB in idle mode. The fan even occasionally stopped spinning. The VivoBook (32.1 to 32.4 dB) is roughly on a par with the ThinkPad and the TravelMate is slightly louder (33.3 to 34.1 dB). The Edge E130 reached 35.2 dB during medium load via 3DMark06 and 36.6 dB during full load via Prime95 and Furmark (stress test). Again, the VivoBook exhibits similar rates with 36.5 dB for both scenarios. Only the TravelMate produced more noise with 37.4 and 39.6 dB. The ThinkPad's surface temperatures were just above 30 °C in idle mode. The rates increased to 30.4 to 42 °C during full load. Consequently, it is possible to use the device on the lap in every load scenario. The VivoBook's temperature is lower in all load ranges. However, it surpasses 50 °C in one area on the casing's bottom during full load. The TravelMate doesn't fare as well. The casing's temperature surpassed 50 °C in several areas during full load. 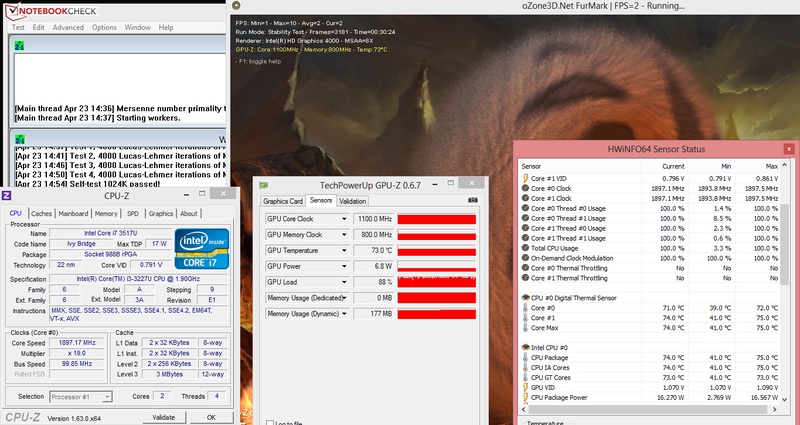 Both the CPU and GPU performed the stress test (Prime95 and Furmark run simultaneously for at least one hour) with full speed in AC mode (CPU: 1.9 GHz; GPU: 1.1 GHz). The CPU also ran through the stress test with maximum speed in battery mode. The GPU's speed marginally throttled to 1050 to 1100 MHz and occasionally even 1000 MHz. The CPU's temperature settled to approximately 74 °C in AC-mode. (±) The average temperature for the upper side under maximal load is 35.4 °C / 96 F, compared to the average of 30.7 °C / 87 F for the devices in the class Subnotebook. (+) The maximum temperature on the upper side is 38.8 °C / 102 F, compared to the average of 35.8 °C / 96 F, ranging from 22 to 57 °C for the class Subnotebook. (+) The palmrests and touchpad are reaching skin temperature as a maximum (34.6 °C / 94.3 F) and are therefore not hot. (-) The average temperature of the palmrest area of similar devices was 28.6 °C / 83.5 F (-6 °C / -10.8 F). 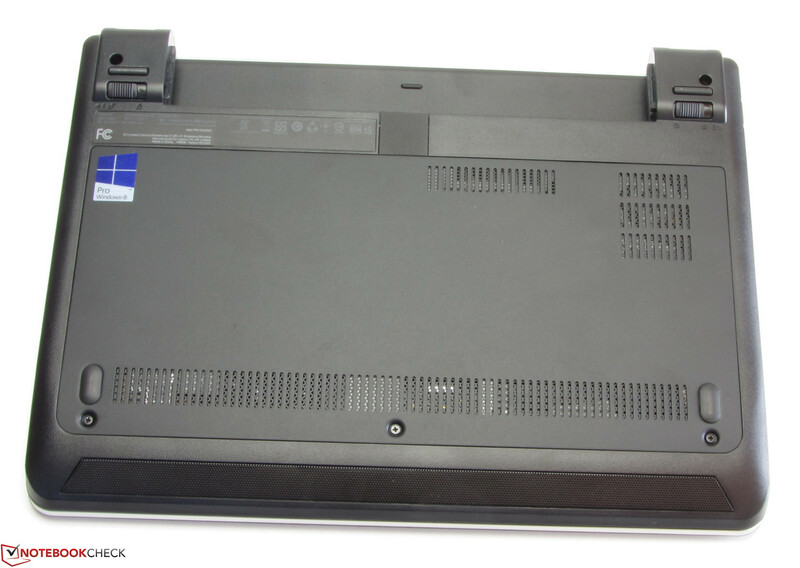 The ThinkPad's stereo speakers are located in the front area of the casing's bottom. They produce a full sound that clearly lacks bass. Overall, the sound is acceptable for a small office laptop. It is always possible to connect external speakers or headphones for a better sound experience. 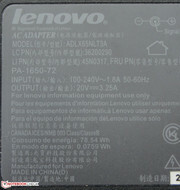 The ThinkPad is satisfied with an acceptable idle consumption ranging from 6.8 to 10.8 watts. The VivoBook proves that better rates are possible with 5.6 to 8.6 watts. 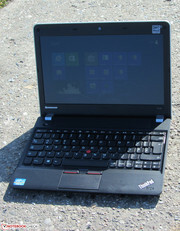 The TravelMate's 7.5 to 9.1 watts is approximately on a par with the ThinkPad. The ThinkPad's rates of 29.2 watts during medium load via 3DMark06 and 33.6 watts during the stress test via Prime95 and Furmark prove a bit more energy-efficient than the TravelMate (30.4 and 35.6 watts). The VivoBook's rates of 17.3 and 20.7 watts are very low due to the device's throttling. Both contenders could match these results if the CPU and GPU were throttled accordingly. 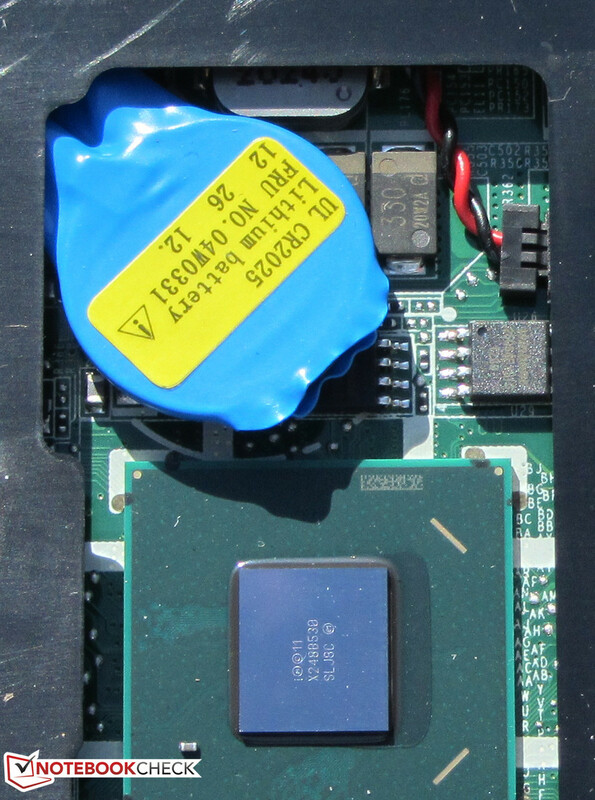 A charged battery kept the ThinkPad running for a whole 10:23 h in idle mode. Both the VivoBook (5:17 h) and TravelMate (6:35 h) lag far behind that. The idle runtime is ascertained using Battery Eater's Reader's test. The screen is set to minimum brightness, the energy-savings profile is enabled and the wireless modules are disabled. The three laptops are closer during load. The Edge E130 lasted the longest with 2:12 h. The VivoBook achieved 2:00 h and the TravelMate 1:51 h here. The load runtime is ascertained using Battery Eater's Classic test. The screen is set to maximum brightness, the high-performance profile and the wireless modules are enabled. The ThinkPad finished the Wi-Fi test after 5:44 h. Both the VivoBook (3:43 h) and the TravelMate (3:25 h) were drained sooner. Websites are automatically opened every 40 seconds in this test. The energy-savings profile is enabled and the screen's brightness is set to approximately 150 cd/m². It is not surprising that the ThinkPad achieves the longest runtimes. Its battery has the largest capacity with 63 Wh. Neither the VivoBook's battery (38 Wh) nor the TravelMate's (37 Wh) can compete with that. Like the previously reviewed model from the Edge E130 range, the new model convinces. It offers decent application performance, long battery runtimes and works quietly. It also features a good keyboard and a swift hard drive. The middling screen ruins the overall impression to an extent. There is even savings potential. Users who do not need computing power, storage capacity or a Windows operating system can acquire the cheapest E130 model for approximately 350 Euros (~$454). Asus' VivoBook S200E caters to users who want an 11.6-inch touchscreen laptop. The VivoBook is also available for less than 500 Euros (~$648, featuring a Pentium processor and not a Core i3). We did not find any reasons for preferring Acer's TravelMate B113-M over the Edge E130. The TravelMate achieves shorter battery runtimes, heats up more and also tends to throttle. The keys feature a medium drop. 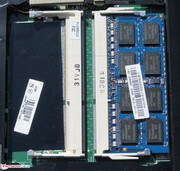 Two working memory banks are available. The BIOS battery can be accessed. 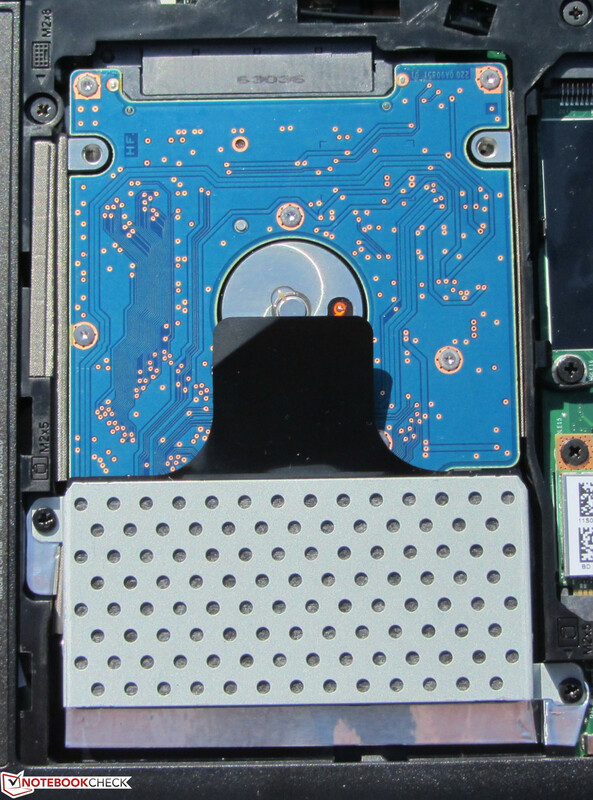 Only hard drives with a height of 7 mm fit in the E130. The fan's accessibility is restricted. Good: Two Wi-Fi antennas are available. 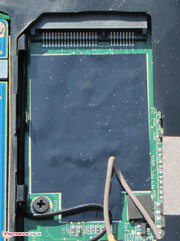 The mSATA slot enables installing a corresponding solid state drive. and supplies a capacity of 63 Wh. and provides a maximum of 65 watts. The speakers are located behind a perforated bar on the bottom. 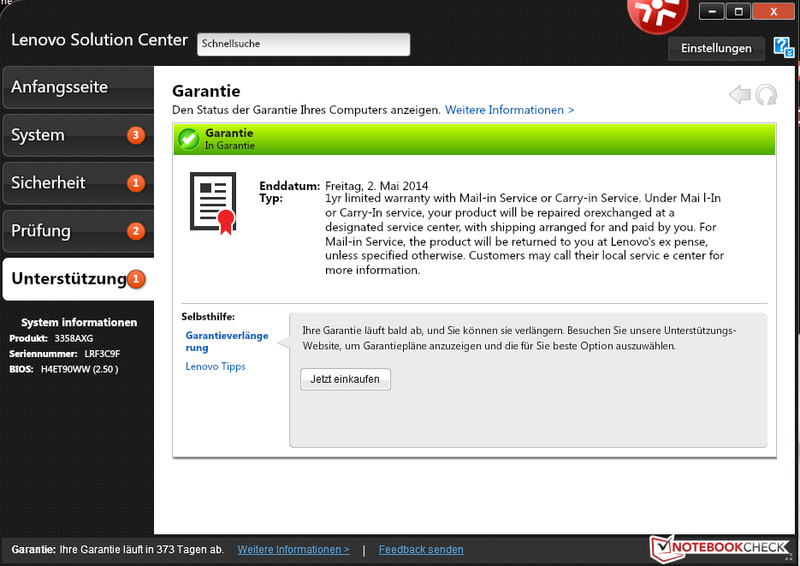 Lenovo's Solution Center informs the user about the laptop's warranty status. 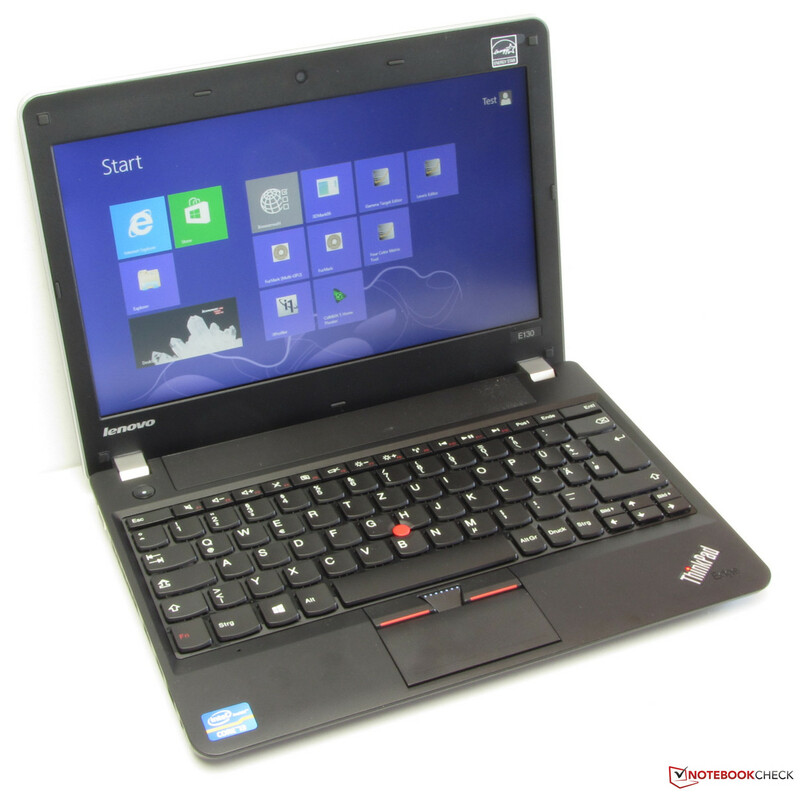 Lenovo offers these warranty upgrades for its Edge E130. Ubuntu Linux can be installed on the laptop. The good battery runtimes, decent keyboard and swift hard drive. It is inconceivable that Lenovo equips a laptop meant for mobile use with a screen that is hardly suitable for outdoor use. Acer TravelMate B113-M, Asus VivoBook S200E, Sony Vaio SVT-1111M1E/S, Acer Aspire One 725-C7Xkk, Acer Aspire One 756-B847X, Asus X201E, Lenovo ThinkPad Edge E135, Lenovo Ideapad S206, HP Pavilion dm1.